Collective and innovators – two very pertinent terms when it comes to defining what makes the key differences between independent health food shops and big branded retailers. There are few sectors where the majority of people involved at all levels carry out their business with a commonality of purpose and a closeness with its customer base. Long before hipster cafés and tribal homeware stores became fashionable, health stores were engaging in a unique relationship between producer, distributer, retailer and customer. Long before “experience” based shopping was trendy and cool, health food stores were having an empathetic and honest relationship with you- the customer. As a “collective”, via Health Stores Ireland, health food store owners have been engaging with each other, suppliers and regulators to do all in our power to ensure that freedom of choice and access to the best in ethically traded and naturally produced products are available to you in the areas of wholefoods, superfoods, cosmetics and household products. If you are wondering what is new and trending in the world of natural products you won’t find it in the aisles of supermarkets or under the spotlights of big branded pharmacy chains. You will what’s new, and properly vetted for good provenance and ethics, at your local independent health store. You will also find well trained staff ready to talk to you with empathy, enthusiasm and genuine care. You will get honest appraisal and careful consideration of what products and services are best suited to your needs. 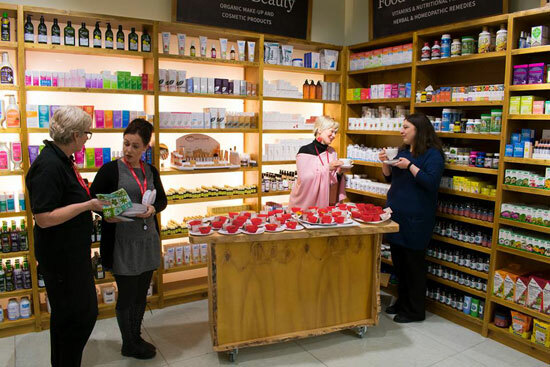 Whether it’s a botanical supplement, a wholefood recipe, a skincare issue or even some emotional support, your local health store is where you will receive the most up to date advice and genuine care. 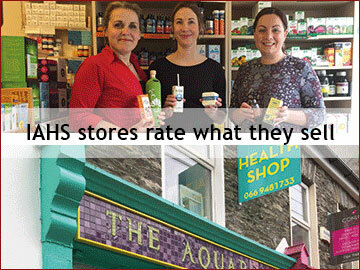 Our beloved “IAHS” collective is showing off new plumage under the new “Health Stores Ireland” banner. Still enthusiastically “representing independent health stores from Buncrana to Bandon”. Still “promoting better nutrition in Ireland” but with a vibrant new swish and some fresh new colours. 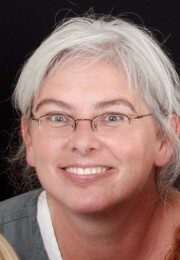 Chairperson; Irish Association of Health Stores Ltd.